If you’re an Austinite, the phrase “Keep Austin Weird” probably makes you think of Eeyore’s Birthday celebration or Leslie walking down South Congress in short shorts. Just like Leslie’s spirit, SoCo is where weirdness resides. From quirky stores to regular street performers, SoCo has its fair share of Austin’s charm. Plus, no matter what lifestyle you’re sporting, SoCo has it all. Here’s how you can make it your home with a little help from Jovio. 207 Lessin Lane is tucked away in a peaceful neighborhood at the very edge of SoCo, just before the TX-71 intersection. Not only is this home attractive because of its sleek, modern design and spacious wooden patio, but it is in the perfect location for those wanting to bask in SoCo’s quirky charm. Within 5 minutes of a casual neighborhood stroll, you’ll find yourself at Cosmic Coffee + Beer Garden. This hip hangout spot is complete with local beer, a fire pit, food trucks, and plenty of outdoor garden seating for those warm and breezy Texas evenings. The delicious enchiladas from the taco truck are perfect to satisfy your appetite… but those calories! That’s why the Crux Climbing Center, a newly opened rock-climbing gym, is directly across the parking lot from Cosmic Coffee. Whether you prefer to do balancing yoga or satisfy the monkey spirit every rock-climbing Austinite possesses, the Crux Climbing Center is the perfect place for any kind of workout. Once you’re feeling worn out from living your best monkey life, you can relax with some live entertainment. In addition to food trucks and local beer, Cosmic Coffee often has live music in the garden. If you’re in the mood for something with a little more quirky Austin spice, you can visit The Institution Theater, a local comedy venue with weekly stand-up, improv, and variety shows. You can be awed every Thursday at their free variety show, Anything Live, where Austin’s finest comedians come together to create a unique show that’s brand new every single week. SoCo also has a diverse shopping strip within a 5-minute drive of Lessin Lane. Looking to satisfy your sweet tooth? Stop by Big Top Candy Shop, the old-timey, circus-themed candy store. Searching for that perfect pair of cowboy boots? Shop at Allens Boots, an Austin staple with hundreds of handmade leather goods to choose from. Need to go Halloween shopping way before October because you just love Halloween that much? Flip through the costume-filled racks at Lucy in Disguise, a funky costume and accessory store that will DEFINITELY have ANY costume you’re looking for. Want more tacos? Check out Güero's, a taco bar known for putting on free live music at their outdoor venue. If you’re sick of tacos---SHAME ON YOU---there’s also the best pizzeria in Austin, Homeslice Pizza, and a local favorite among eateries, Magnolia Cafe. But the most magical part of SoCo that really ties it all together is the Congress Ave Bridge, where you can watch hundreds of bats take off into the sky at sunset. Tired of us listing all these amazing places you can regularly visit if you lived on SoCo? Us too! That’s why you should try them out for yourself. At the end of the day, we can’t capture all the awesomeness of a SoCo lifestyle, it’s up to you to capture that reality yourself. So, what are you waiting for? 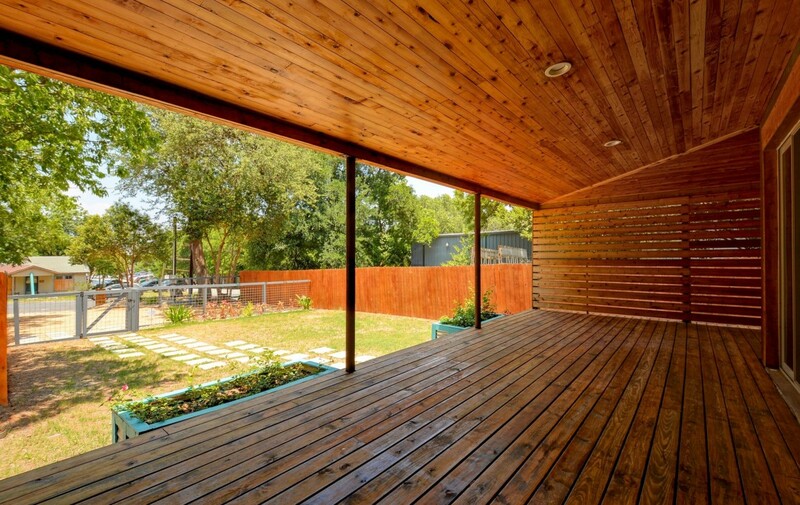 Find your dream home in South Congress. Your rock-climbing monkey spirit will thank you.